This positive feedback loop of accelerating and reinforcing government policies and private sector leadership is already helping to take climate action to the next level in many places. 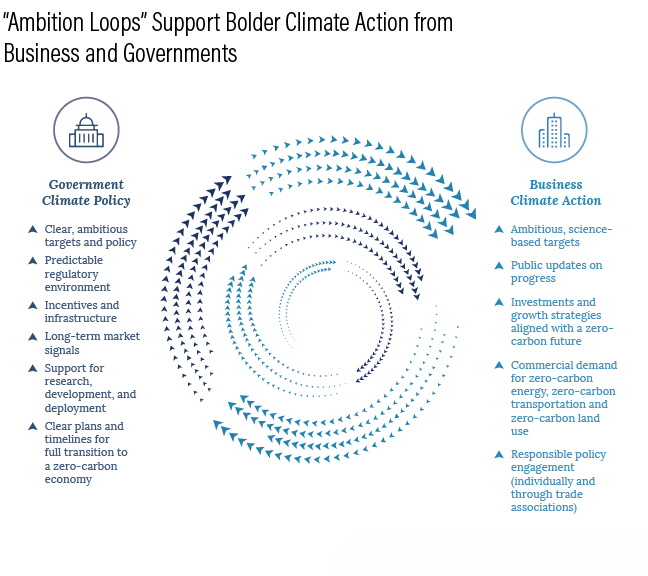 The Ambition Loop, a new report by United Nations Global Compact, We Mean Business and World Resources Institute, showcases specific examples where strong national policy measures built upon business leadership are spurring additional investments and climate action. Where policies are clear and strong, businesses are stepping up to do more and the pace of change is accelerating. 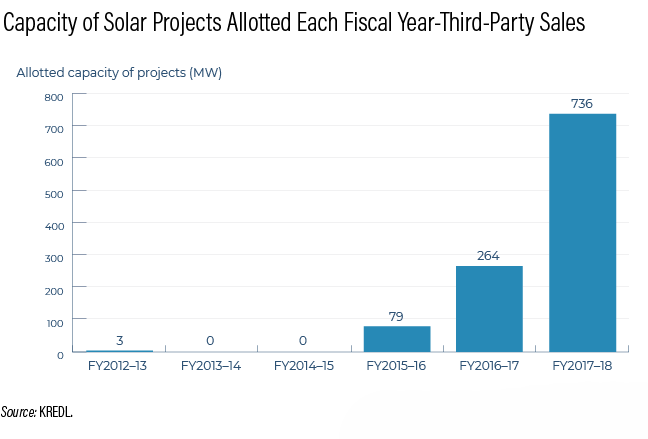 These examples can inform policy-makers’ efforts to achieve their economic development and emissions reduction goals faster. China accounts for half of today’s global electric vehicle sales. In 2017, the country announced its intentions to sell 5 million electric vehicles by 2020. Within days, Ford and General Motors had announced their own goals to increase electric vehicle sales. When the world’s biggest markets mandate electric vehicle sales, automakers pay attention. China almost doubled the production and sales of alternative fuel vehicles in the first seven months of 2018, compared to the same period last year. Bold business action also spurs governments to deliver more ambitious policies. More than 70 European companies have joined the RE100 initiative, committing to power their businesses with 100 percent renewable electricity. This influential group includes major European companies like Nestlé, Danone, IKEA, Unilever and BMW. IKEA Group alone reports that it has invested €1.7 billion in wind and solar energy. Prior to decisions around future EU energy policy, progressive business voices called for increased 2030 renewable energy targets and greater ease of access for businesses to buy renewable electricity. $26 trillion opportunity that bold climate action can offer through to 2030. It has never been more important to harness the power of ambition loops.